TWO prominent Jozi wheelspinners are crying foul following non-payment after playing at the posh Macanudo Cocktail and Cigar Lounge in Sandton on Saturday night. 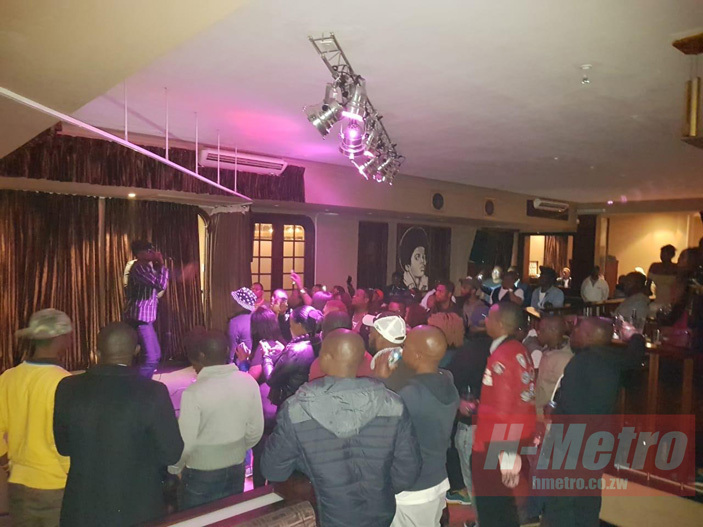 The venue was hosting Jah Signal and was poorly attended. Roughly 50 fans turned up which spelt a financial disaster for the organisers. “I am saddened that we gave our all trying to push this show and even used our own resources like fuel and all putting up posters all over. Indications were that we were going to be paid R2000 each. The promoter then said he has made a loss and is in pain and cannot pay us,” said one of the DJs pleading for anonymity to protect his relations. Among the DJs who played on the night included Backspin, Irie Dread, MC Manga Rebel and Charlie Ban of One Love Movement as well as Abra Simz who had been pushing the gig especially on social media. 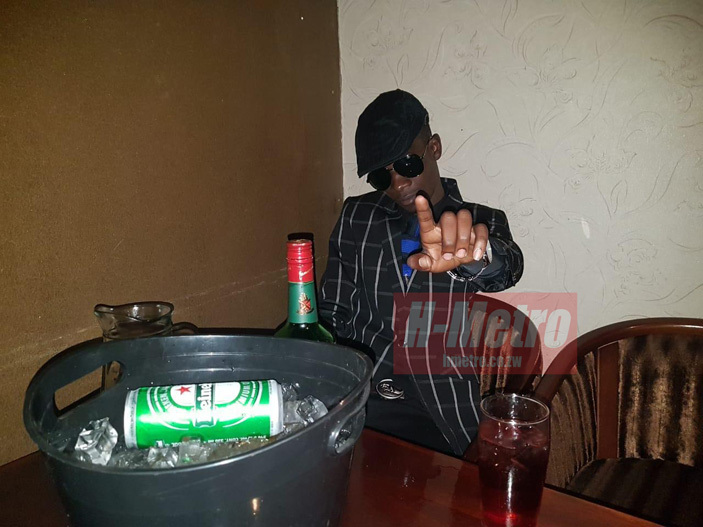 Event promoter Letmore Mbidzo of Moretime Entertainment dismissed the allegations that are likely to taint Jozi’s newest kid on the entertainment block. “This has been our first show and we have learnt a number of lessons out of it. There are things that could have been done better and I promise you in future we will come right. We didn’t have any contracts with most of these guys because we had the belief that they had their own fans who were going to come and party. “We even had an arrangement where could give them free tickets so that they can sell and enjoy the proceeds. Some requested to be part of the gig to showcase their talent and it will be improper for any one of them to make such demands,” said Mbidzo. 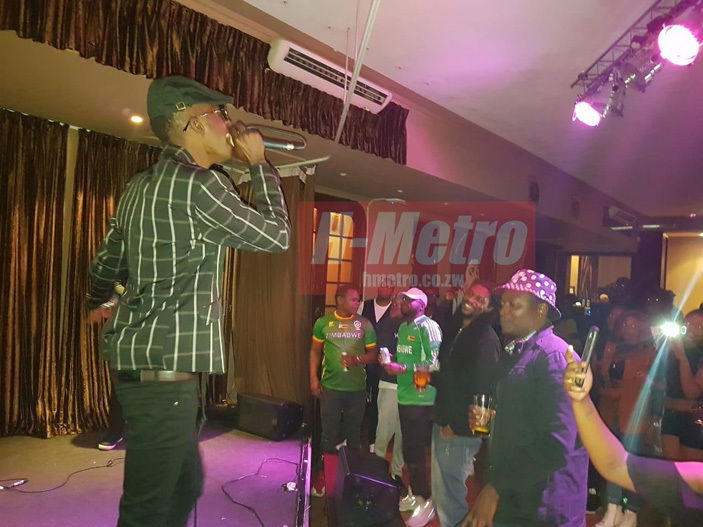 Despite the behind-the-scenes drama and a late start, the few fans who came had a nice time in the company of socialites Zuva Habane, Shezz Chihera Demhamha and friends who had some time on stage dancing with Jah Signal. The small-built artist only got on stage at 1:45am after he had jetted into Johannesburg just two and half hours earlier on Saturday night. He however did not show any signs of fatigue and belted hit after hit. Mbidzo indicated he is not stopping and is finalising a few shows in the coming months. “Our idea is not to fill up space with fans who just come and sit. We will concentrate on quality not quantity. We are looking at numbers of around 150 only to make it exclusive. You will see in our next shows,” he quipped.